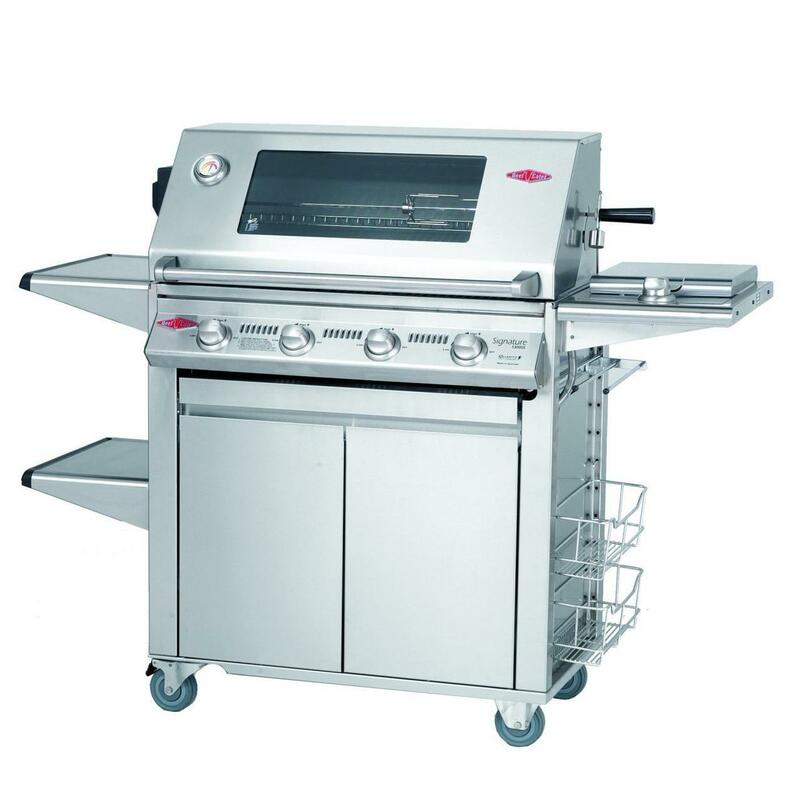 Product Description: BeefEater Signature Premium 4-Burner Propane Gas Grill On Cabinet Trolley Cart W/ Shelves. 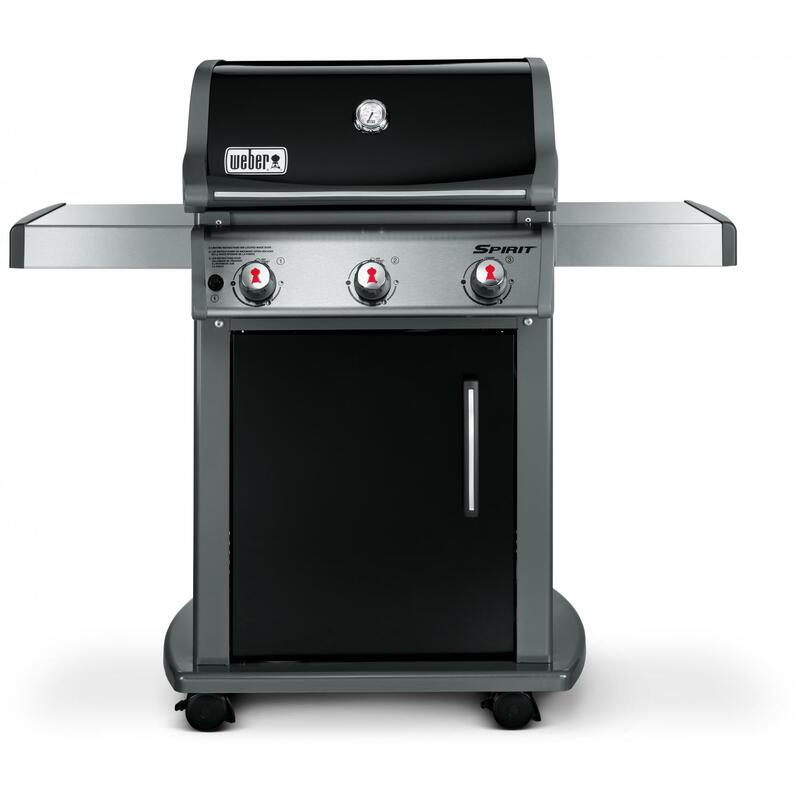 If you need a grill with a proven, reliable ignition system and solid, commercial quality construction, BeefEater is a top choice. 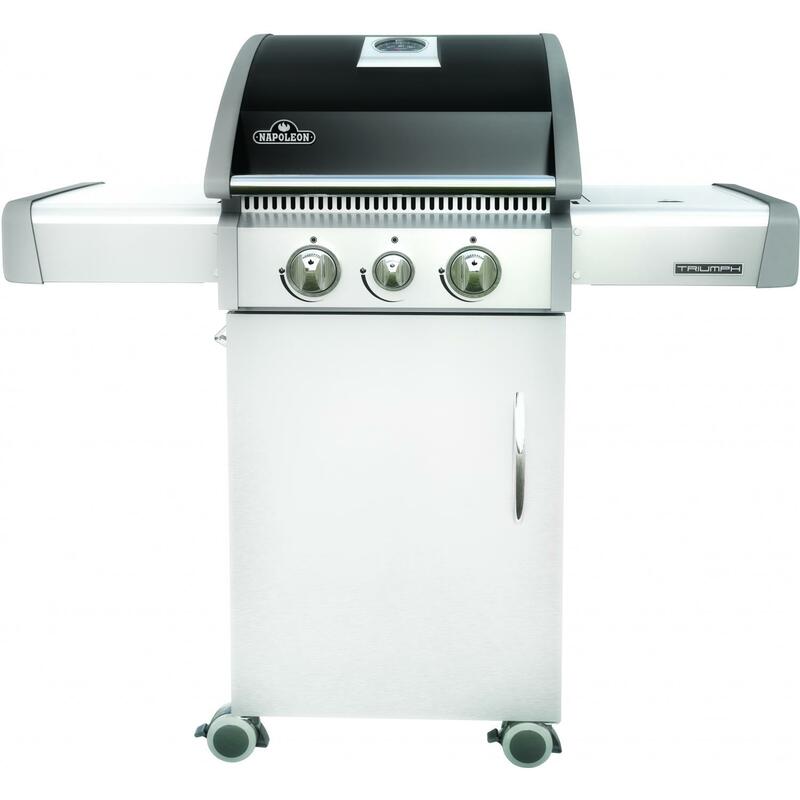 This BeefEater propane gas grill features heavy-duty, 304 grade stainless steel grill grates made from 10mm thick stainless steel rods which are rugged and easy to clean. 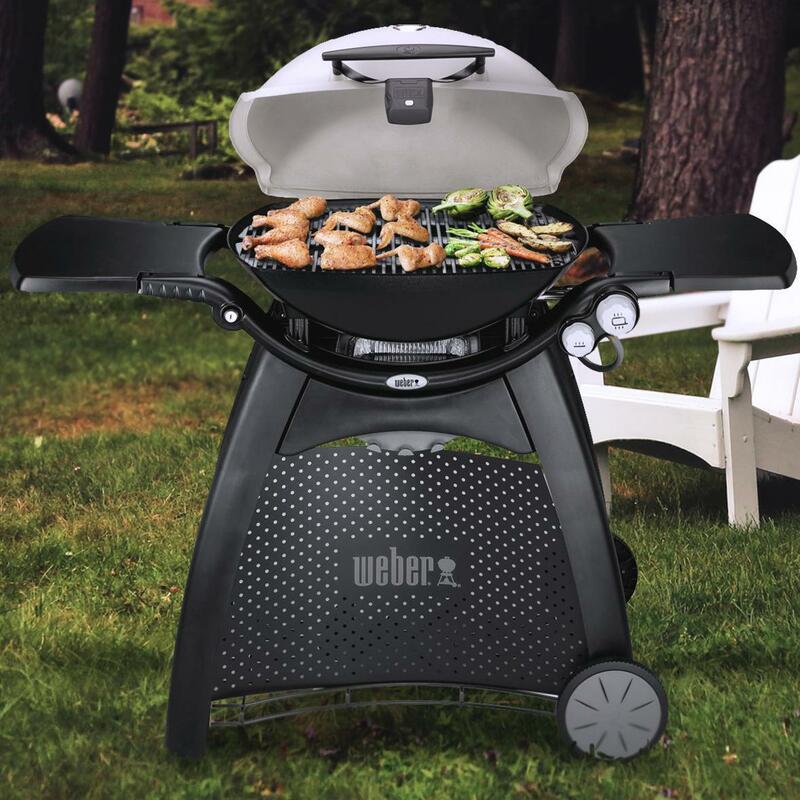 The removable grill hood is angled which creates a convection effect so your meals will get that chargrilled flavor without drying up. 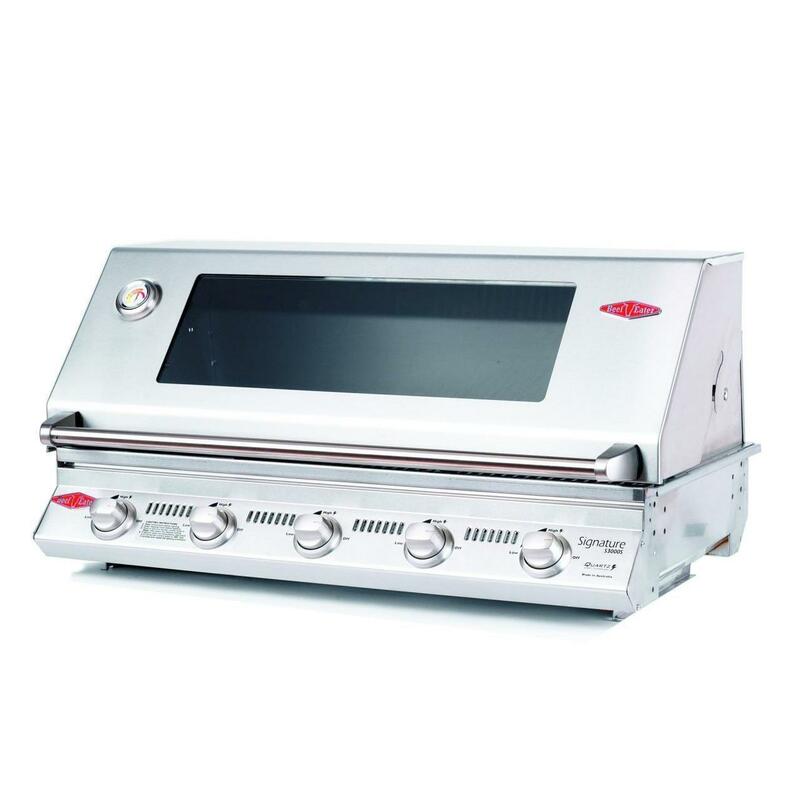 BeefEater makes it easy to monitor your food, with a glass window built right into the hood. 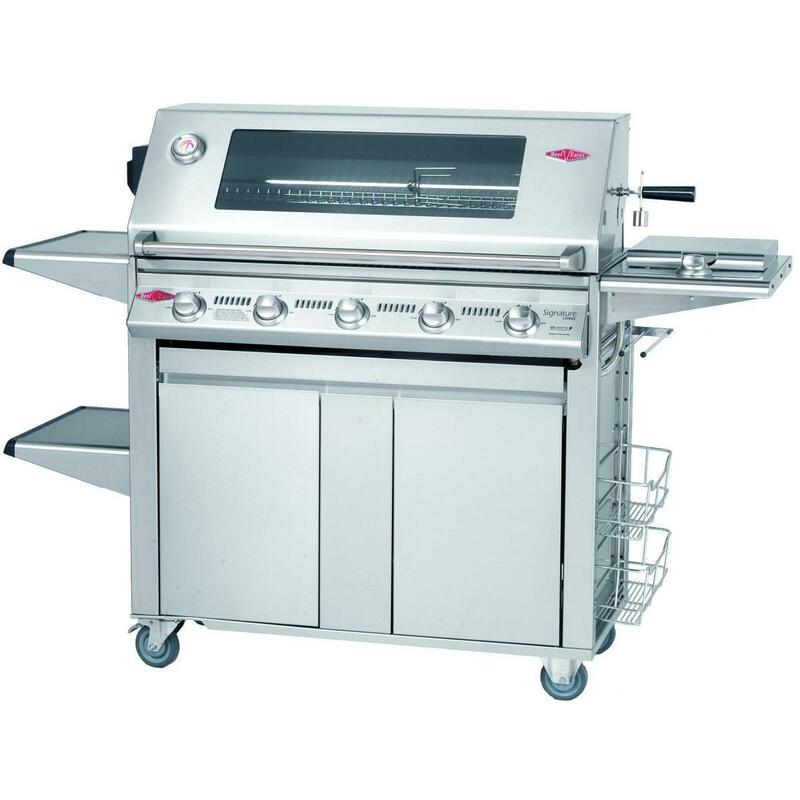 The 18,000 BTU solid cast stainless steel burners deliver a total of 72,000 BTUs of extremely high heat for a restaurant quality cooking performance. 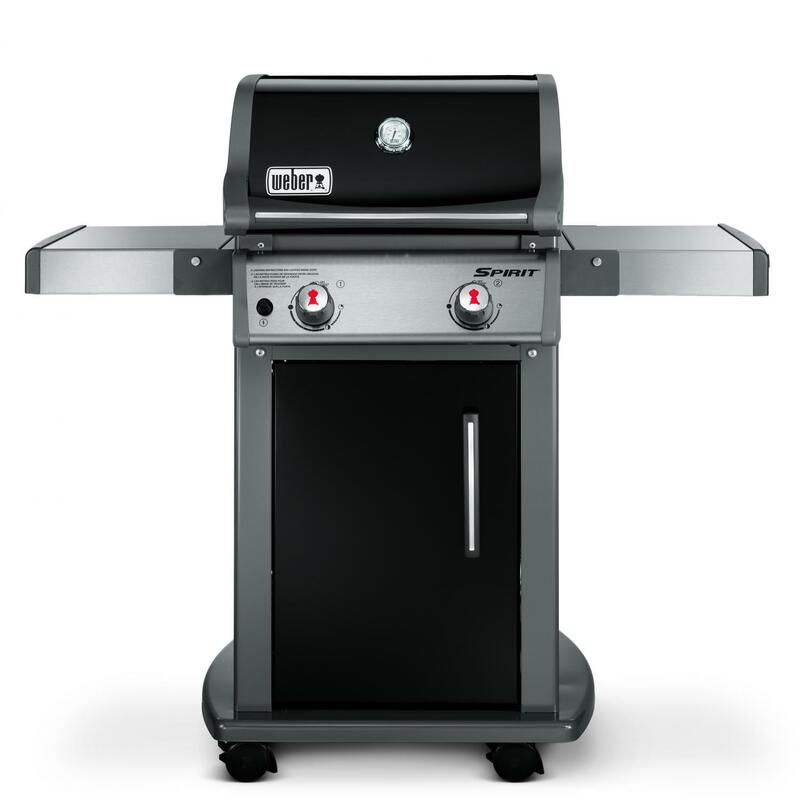 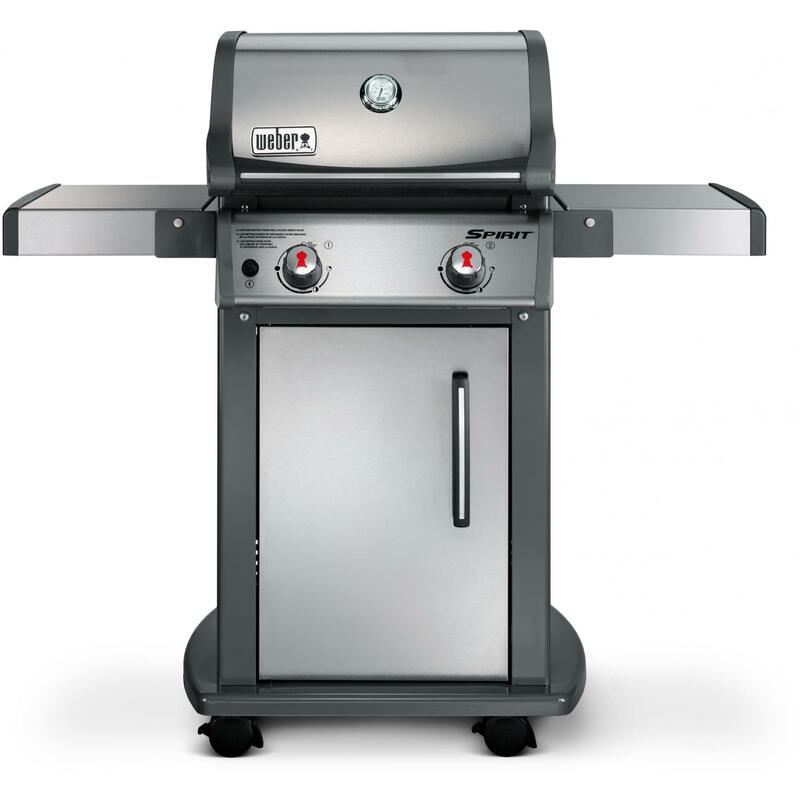 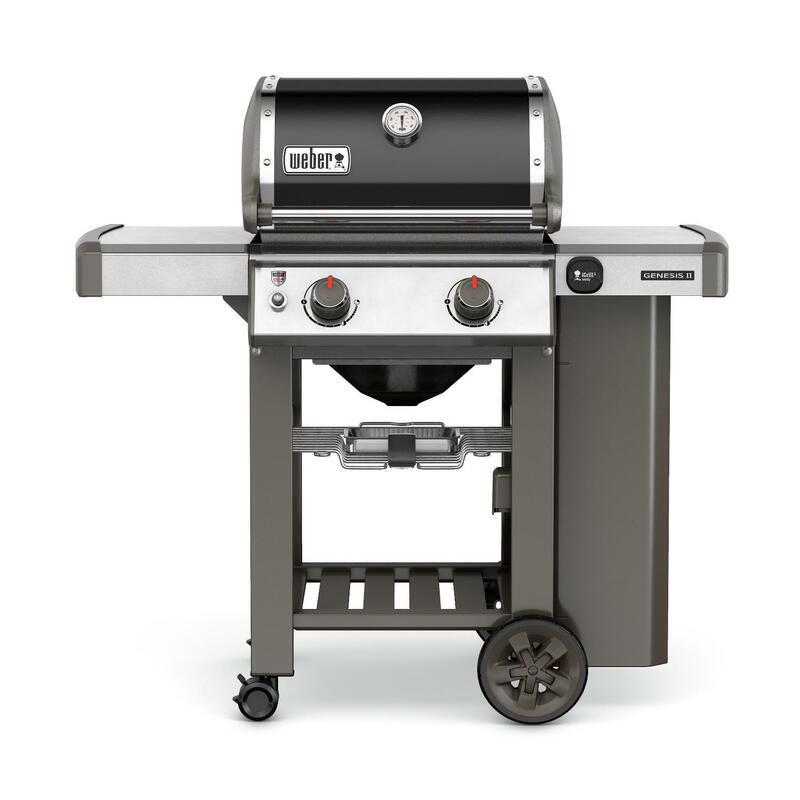 This BeefEater grill also features a standard 1/4 inch thick griddle that replaces one section of the grill grates and a heavy gauge 304 grade Stainless Steel frame, known for its corrosion resistant properties and innovative Quartz Start Ignition technology system which ensures long life and trouble free starting with no worries. 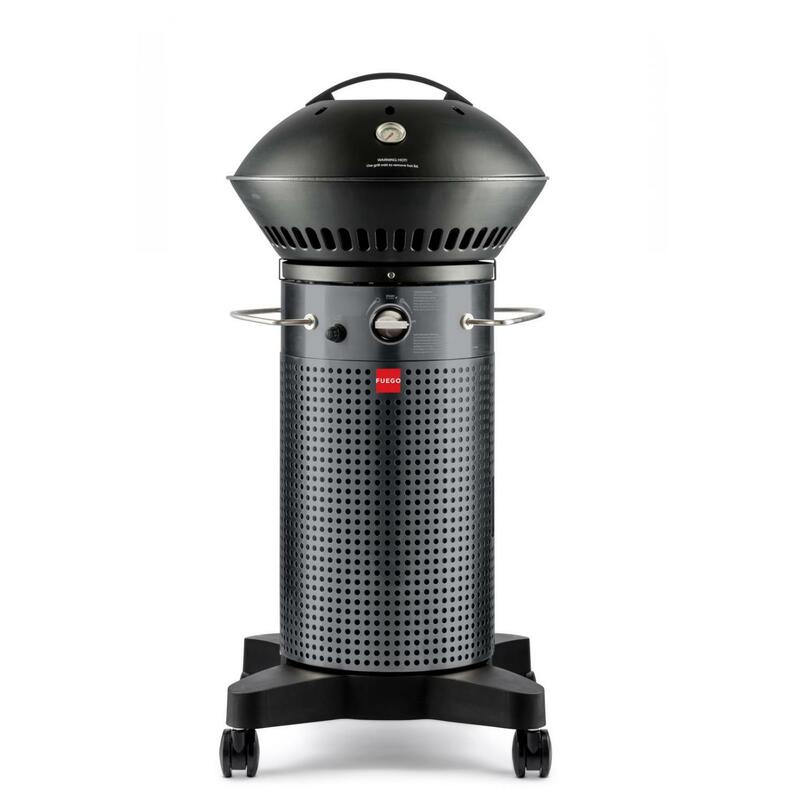 Stainless Steel vaporizer grid and high heat anti-flare systems are designed to vaporize juices immediately as the they fall through the grill. 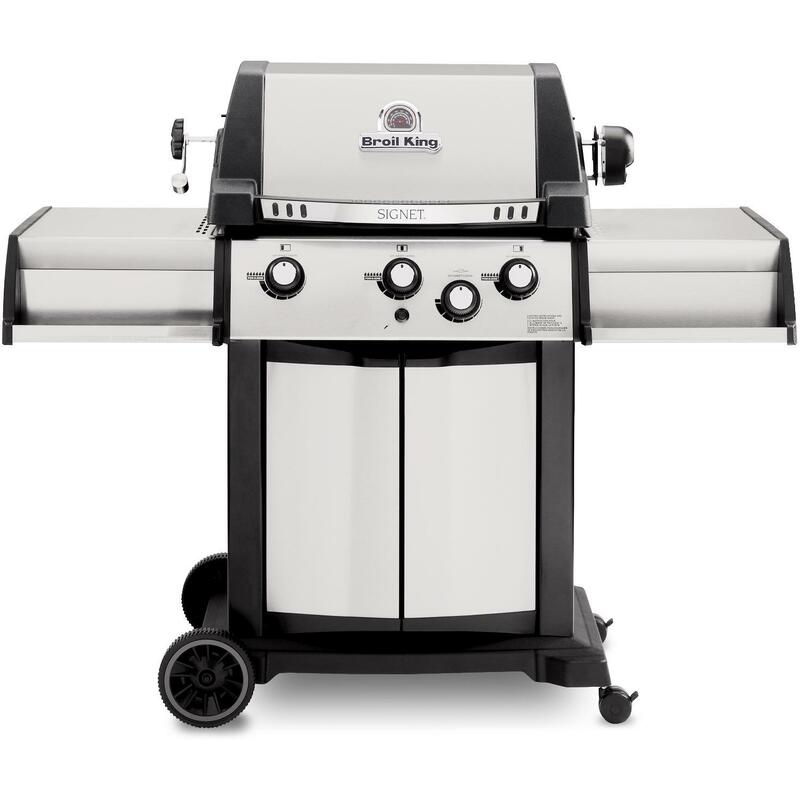 The BeefEater Signature Plus Cabinet Trolley Cart includes 2 side shelves, 19,900 BTU side burner, 2 storage baskets and telescopic towel rack.